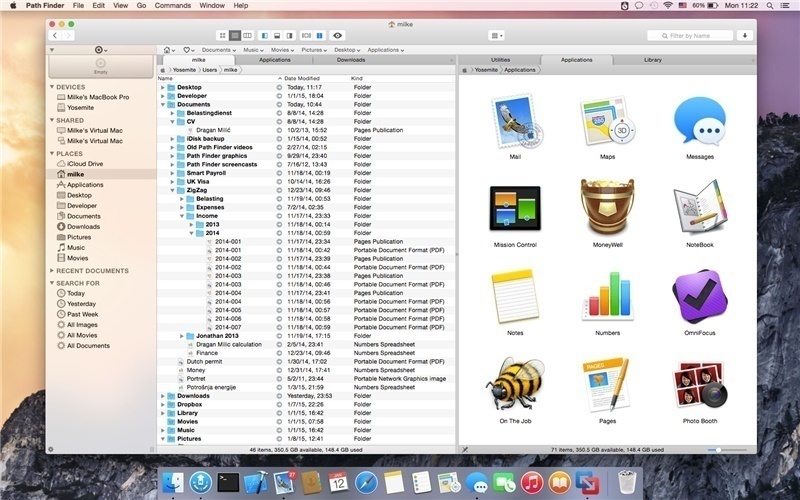 Path Finder 8.3 – Powerful, award-winning Finder alternative. Path Finder makes you a master of file management. Take full control over your file system. Save your time: compare and synchronize folders, view hidden files, use Dual Pane and full keyboard navigation to browse your file system. Work how you want: extreme customization allows you to access most tools in many different ways to suit your workflow. Work seamlessly with other platforms: don’t leave any hidden .DS_Store files on non-Mac volumes, delete files securely and completely with the powerful delete feature from any volume type, search any network volume. Next story Tweak Photos 2.1 – Batch Image Editing Made Easy. Previous story UXWeb 1.3 – Drag & Drop Website Builder. Path Finder 6.2.1 – Powerful, award-winning Finder alternative. Path Finder 8.0.4 – Powerful, award-winning Finder alternative. Path Finder 7.1.3 – Powerful, award-winning Finder alternative.